Join the St. Paul’s School for Girls and St. Paul’s Plus communities at the 4th annual Swamp Soiree. The evening includes dinner, music, an auction, and more to benefit The Gator Fund, alumnae-sponsored scholarships, and St. Paul’s Plus. If you would still like to attend, please contact Director of Stewardship Nancy Stromberg at nstromberg@spsfg.org or call 443-632-1012. FOR ADDITIONAL INFORMATION, contact the Development Office at 443-632-1012. Travel to the Big Apple for a two-night stay at your choice of three mid-town Wyndham luxury all-suite hotels. Join CNN Executive Producer of Fareed Zakaria GPS, Tom Goldstone, for a VIP tour of CNN’s NY headquarters. See the newsrooms, edit rooms, and studios where CNN shows such as Anderson Cooper 360, Erin Burnett Out Front and New Day are taped. Have lunch with Tom and leave with CNN swag. VISA gift card for $250 is included for travel costs. Donated by Tim and Katherine Gavin, P’22 & Tom Goldstone. Enjoy Beaver Creek, Colorado with a one-week summer stay in Villa Montane townhomes located in Beaver Creek Village. Summer in the mountains is amazing – warm days, cool nights, and so many things to do, you may not be able to fit them all into one trip! After exploring the Vail Valley, relax in your single-level, four-bedroom residence in Villa Montane (sleeps up to 12 people). Guests will enjoy a heated pool, hot tub, fitness center, and media room with 3D TV and surround sound. Donated by Doug & Jody Greenstein, P’21 ’23. Live it up in Las Vegas during your three-night stay at any one of the following hotels: Caesars Palace, Cromwell, Flamingo, Harrah's, LINQ, Paris, Planet Hollywood, or Rio. Enjoy dinner for two at Giada's, specializing in Italian cuisine with refreshing California influences. Two tickets to a show of your choice (restrictions apply). Travel in style with round trip limousine service for two between McCarran International Airport and hotel. 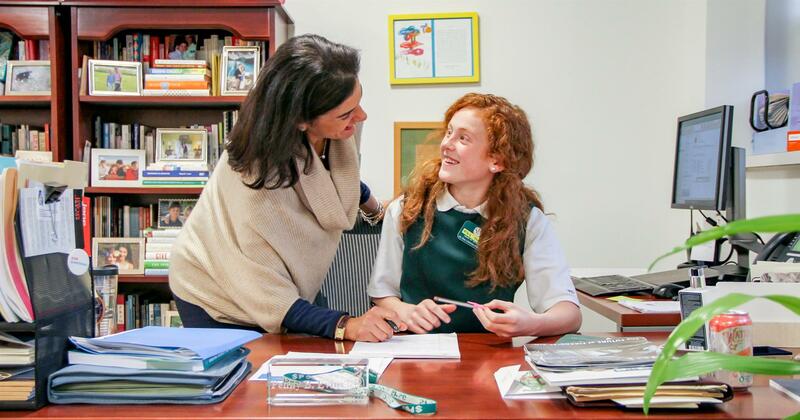 Here is your daughter's last chance to fill the shoes of Mrs. Evins and show off her leadership skills as Head of School for the Day. Must be redeemed by May 31, 2019. Invite up to six individuals and step back into time as you travel on a 90-minute tour of the Maryland Historical Society Museum with Executive Director, Mark Letzer. Mark has been intimately involved with MdHS for over two decades and is an expert on the history of our home state. After learning about Maryland’s diverse heritage head to Baltimore’s iconic restaurant, The Helmand, for authentic Afghan cuisine with a $100 gift card. Tour to be determined for a mutually convenient date and time. Tour the Library of Congress with VIP docent Ret. Army Col. Robert Patrick. As the research library that officially serves the United States Congress and the de facto national library of the United States, it is the oldest federal cultural institution in the United States. Enjoy lunch for up to five people in the Library’s cafeteria with Col. Patrick. Tailor your private tour for six individuals of the Walters collection with Executive Director, Dr. Julia Marciari-Alexander, to learn more about the world of art. From acquisition to preservation and installation, your personal conversation over wine with this internationally recognized museum director is one you won’t want to miss—especially with the recent unveiling of the $10.4 million renovation of the Hackerman House. Round out your day dining at Baltimore’s favorite Italian restaurant, Sotto Sopra. Tour to be determined for a mutually convenient date and time. Donated by The Walter’s Art Museum. If you are an amateur novelist, have memoirs in the making or just enjoy the process of creative writing, take advantage of expert advice from the award-winning author of over 25 historical and contemporary novels and SPSG alumna, Hope Tarr ’82. Hope will provide content critique of your first 10 consecutive manuscripts or short story pages with a 30-minute phone or Skype call to review work and answer questions. Donated by Hope Tarr ’82. Immerse yourself in the historic charm of Bethlehem, Pennsylvania with this $500 gift card towards a 2-night stay at the historic Sayre Mansion Bed and Breakfast (circa 1858). This boutique hotel is steps away from Lehigh University, the Steel Stacks Performing Arts Center and the Sands Casino. Dine on New American cuisine at Zest Bar and Grille with this $100 gift card while you enjoy spectacular views of the gorgeous Lehigh Valley. Whether you are celebrating a graduation, a birthday or just the start of summer, do it Maryland style with a crab feast complete with beer and wine for 25 people. Package includes a $500 gift card from Conrad’s Crabs & Seafood Market, a 20’x20’ tent, tables and chairs. Crab mallets, knives, and elegant tray make for a beautiful presentation. Donated by Conrad’s Crabs & Seafood Market, Loane Brothers, Trigger Agency, & The Rogers Family, P’08 ’11 ’13 ’19. Gather 10 friends for a wine and cheese tasting in your home. Peter Wood, owner of The French Paradox Wines, will serve and discuss wine and cheese pairings. Donated by The French Paradox Wines. Relax with a margarita before you head off to dinner. This package includes everything you need for a great cocktail: two different types of tequila, triple sec, margarita mix, salt and glasses. Plus, a gift card to Mezcal Mexican Restaurant and Bar in Owings Mills, where they pride themselves on serving authentic Mexican food. Donated by The Cooke Family, P’18 ’22. Enjoy a fun afternoon or evening at home making your own pasta and transporting yourself and family to the heart of Italy! Basket includes pasta maker, pasta drying rack, cookbook for making pasta, jar of marinara sauce, Italian dipping oil, Italian cookies, bottle of Italian wine, serving bowl, and small tray for dipping bread. Donated by The Rogers Family, P’08 ’11 ’13 ’19. Enjoy the finest artisan chocolates, candies and confections with a $100 gift box and a $150 gift card from Lolli and Pops. Donated by Lolli and Pops. Enjoy baking at home with a cookbook, dessert plates, and other baking accessories from Beckett Hitch. Not a fan of baking? Get your decadent cake straight from DC’s cult sensation, Milk Bar Bakery, founded by award-winning pastry chef Christina Tosi. Donated by Beckett Hitch and Milk Bar Bakery. Join Japanese teacher Maki Okamato for an authentic Japanese cooking lesson for up to four people in your home. 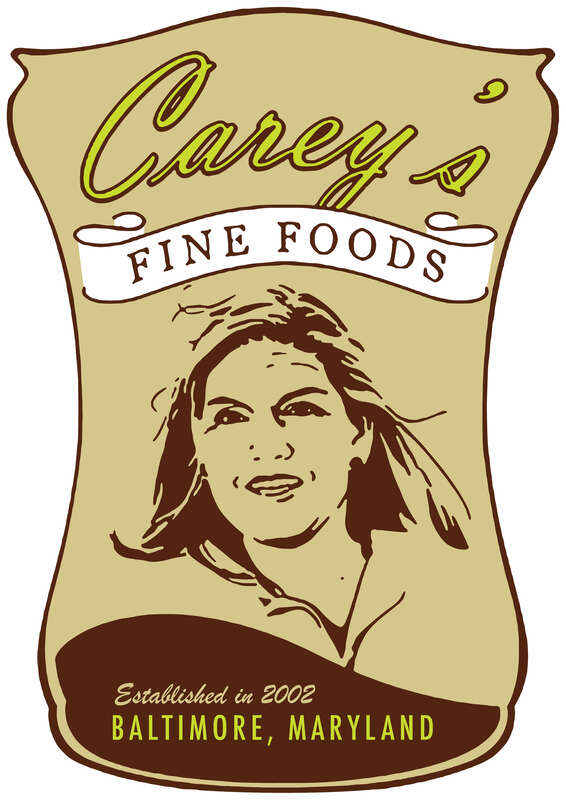 Ms. Okamato will create the menu and provide specialty items while the participants provide all other ingredients. To be redeemed by May 31, 2019. Welcome SPSG’s own Señora Botelho into your home where she will help create a paella party for six. (Other side dishes and drinks not included). To be redeemed by March 2, 2020. Create a backyard crab feast with this crab steamer pot and selection of McCormick spices. Donated by McCormick & Company. Join the Soudry’s in their Reisterstown home and enjoy a delicious French breakfast for eight catered by our very own Madame Soudry and Monsieur Issenschmidt. Great opportunity for adults or families. To be redeemed by March 2, 2020. Union Craft Brewery tote bag filled with trucker hat, t-shirt, beer koozies, six-pack of assorted beer, growler and a coupon for filling your growler. Check out The Baltimore Ravens during a pre-season game on a mutually agreed upon date in August 2019. Four seats in Section 152 – five rows from the field! Donated by Tony and Kate Culotta, P’20. Enjoy the beautiful and challenging Caves Valley Golf Course with George Riedel, P’18. This amazing day of golf for three includes caddies and lunch on a mutually agreed upon date during the 2019 season. Prep for this challenging course at GOLFTEC, the state-of-the art training center in Timonium where a certified personal coach will use the latest golf technology to help players of any age or skill level reach their goals. Donated by George and Suzy Riedel, P’18 and GOLFTEC. Autographed hat with display case from three-time major winner and 2015 FedEx Cup Champion, Jordan Spieth. Donated by Alice Burton and Mark Puente, P’25 ’27. Six tickets to a home game of your choice with 90 minutes of field access prior to the game. Join the fun in the fan tunnel as the Tigers take the field for kick-off. Take a tour of the locker room and pose for pictures with players and coaches. The fan experience is complete with a TU swag bag. Enjoy four lower level tickets and four infield pre-game passes to the 2019 Ravens season opener. Be the envy of your friends when you show them cleats signed by Lamar Jackson that are included in this package. Donated by Baker Koppelman and Hayward Sawers Caswell ’09. Watch the Terps compete in College Park with four tickets to a University of Maryland basketball game for a mutually agreed upon date. Donated by Melanie and Mike Ponsi, P’13 ’19. Five squash clinics with Patrick Bedore, head coach of the St. Paul’s Schools squash teams and the Mid-Atlantic Junior Team. Bring your A game to this double’s tennis match and lunch for three guests to play with Athletic Director Erin Howland at Roland Run Club. To be redeemed June 1 through October 1, 2019. Conquered a full marathon? Check! What’s next? An ultra-marathon, of course! Start your training with an ultra-marathon training group led by Baltimore’s own Charm City Run. They will help get you in top condition to compete in the 2020 Hat Run, the east coast’s oldest 50K ultra-marathon on the scenic trails of Susquehanna State Park, located in Havre de Grace, MD. Lily Trotters compression socks and calf sleeves included so you can put your best foot forward as you accomplish the ultimate running feat. Donated by Charm City Run, The Gross Family, P’21 and The HAT Run. Four Baltimore Orioles field box tickets and parking pass for a game in April or May of the 2019 season. Based on mutually agreed upon date. Donated by Miles & Stockbridge. Amp up your skills with SPSG Varsity Soccer coach Joie Gill. This package includes two, one-hour sessions. To be redeemed by March 2, 2020. Get your laxer ready for the season with two, one-hour skills training sessions with SPSG Varsity Lacrosse coach Mary Gagnon. Donated by Mary Gagnon. Must be redeemed by September 1, 2019. Two Turfside Terrace Tickets for Preakness 2019 and Clubhouse Parking- Imagine reaching out and touching the horses as they fly by! Treat yourself to magnificent views of the Racecourse’s Home Stretch and Finish Line from your table. This all-inclusive premium seating area includes a gourmet luncheon buffet, beer & fine wines. Donated by the Maryland Jockey Club. Before race day, get a sneak peek to watch the contenders train, and take an escorted tour of the stables, jockey room and back stretch with Charlie Fenwick III. Date and details to be determined between winner and donor. Donated by Charles Fenwick III. Enjoy a package of your choice of three shows at The Everyman Theater in downtown Baltimore. Plays will be selected from their six-play mainstage season featuring both classics and new, burgeoning contemporary plays, many of which feature their award-winning Resident Company of Actors and Artists from the Baltimore/DC area. Enjoy a pre or post dinner at nearby Forno Restaurant and Wine Bar. Donated by James and Karen MacFarlane, P’22. Select your perfect spring outfit with a $100 gift card to Butler Corner Clothing before heading to the 117th Annual Grand National Steeplechase Races on Saturday, April 6, 2019. Enjoy VIP parking with your subscriber parking pass and toast the winners with a bottle of Dom Perignon champagne. Donated by Grand National Steeplechase and Liz LeVanis, P’15,’17. Treat your family to a summer of relaxation and fun with a social membership to Hayfields Country Club in Hunt Valley. Enjoy the amazing views from the clubhouse grill, tennis facilities and pool. Membership includes two adults and children under 23. Donated by Hayfields Country Club. Pamper yourself with your choice of $250 worth of spa or salon services at Red Door Spa in Cross Keys. Travel and prep for your trip with these luxury items from Indigo Octopus. This basket includes turquoise earrings and matching necklace, “Escape&,rdquo; a beautiful beach inspired coffee table book, Sea Salt & Surf candle, Olio E Osso perfume balm and a Free People cotton top. Enjoy this decadent assortment of French Girl Skincare products. A cosmic take on a classic: Tory Burch’s Fleming Star-Stud Logo Phone Card Pocket features a constellation of metallic charms—dozens of studs and hand-applied stars, inspired by the season’s celestial theme for your trend-setting teen or hipster mom. Show your SPSG pride when you wear these beautiful Julie Vos 24K gold plated alligator bangle bracelets. Donated by a Gator Family. Carry your essentials in style with this luxury Circle Crossbody Bag in coral by Italian brand Manusur Gavriel. Find your core with a 10-class package at Core Cycle Studios in Timonium, owned by Heather Davidson Chilcot ’98. Core Cycle Studios is the first and only dedicated indoor cycle, barre, HIIT, and yoga studio in the area to offer a fitness experience at this level of intimacy and intensity. Donated by Heather Davidson Chilcot ’98. The original Carrie Dunham clutch with cork cover, perfect for day or night. Brighten up your wardrobe with this gorgeous Sterling Silver 18 K gold accent Tacori green onyx necklace. Fashion’s most charming empire builder creates yet another luxury accessory, the Robinson Chain Wallet—perfect for your chic BFF or a little something just for you! Head out with your bestie and enjoy an afternoon at Greenspring Station with two, $75 gift cards to Panache, two cut and styles with Leah at Uno Salon followed by lunch at Stone Mill Bakery. Donated by Vanessa Pivec, P’15 ’22, Uno Salon, and Stone Mill Bakery. Do you want a structured workout tailored to your needs? This six-session package allows for personal attention in a small group setting with experienced instructors. Show your southern style in a ¼ zip fleece jacket, along with two t-shirts, one men’s button down, one pair of men’s shorts, and one men’s polo. Donated by MD-Brand & Ali Pfeifer ’11. One hour of needlepoint instruction and a hand painted SPSG canvas for a wallet. Donated by Kristine Kingston, P’15 ’19. Organize your space: Revolutionize your life. Do you need a unique approach to spatial transformation that makes efficient and elegant use of the space within your home? Look no further. This package includes a three-hour home organizing session and organizing tools from Let Your Space Bloom. Use this gift card for three hours of time with Poppy Productions who will help you prep your home for the holidays home organization, interior design service, container gardening or landscape consultation. Start your holiday décor with a 12 ft. Christmas tree and holiday greens courtesy of Jarrettsville Nursery. Donated by Poppy Productions and Jarrettsville Nurseries. Need expert advice transforming a space in your home? Three hours of in-home interior design consulting. Donated by Kate Culotta, P’20. Welcome spring and brighten your home with two custom floral table arrangements or two spring planters designed and created by Middle School teacher Margaret Green. To be redeemed May 1 through September 1, 2019. Enjoy these top-of-the line Craftsman tools: stud sensor, standout tape measurer, steel hammer, screwdriver set, and dual power drill—all life-time warranty. (1969) Oil painting by Richard E. Johnson. Donated by Chip Hosford and Kathy Hill Hosford ’67. Freshen up your favorite room with a 14" x11" framed acrylic ink on paper. Donated by Liza Hathaway Matthews. Adorn your home with an urban landscape scene from award-winning local artist, Crystal Moll, whose preferred method of painting is “en plein air” where she moves locations with the sun in order to capture the light and shadow of each scene at its optimum time of day. Donated by Jamie Bennett, P’21. Can’t make it to the beach? Adorn your living space with this beautiful beach-themed 16" x 20" oil painting by art teacher, Katie Rickman. Proudly display this 11"x14" custom pet portrait (one pet only please), printed on heavyweight stock in your choice of ink color. The artist will begin with a high-resolution photograph (supplied by you) that is transformed into a gorgeous finished portrait. This image will also be featured on the front and back of a set of 16 note cards. Cards come with 16 recycled kraft colored envelopes with paw prints on the front. Donated by FuzzyMug / Brooke Mulholland. Enjoy a day with your kids with four tickets to the Baltimore Science Center: Must be redeemed by September 30, 2019. Donated by Keith Pion and Angi Whitaker-Pion, P’23. It’s party time at Coppermine Fieldhouse, the most exciting party destination in Baltimore. Package includes one hour of activity and 45 minutes in party room. Themes include sports, pirate, princess, rock climbing, spy and more. Includes up to 18 guests. Show your Gator Pride with a one-of-a-kind gator embroidered robe and set of towels. Something for pet and owner! Tie-dye t-shirt, hoodie, water bottle, fleece, tumbler for you and leash and collar for Fido. Donated by Ali Pfeifer ’11. Get everything your daughter needs to be an expert laxer with top of the line equipment from STX: bounce back, two lacrosse sticks, lacrosse bag, and portable crease. Get everything your son needs to be an expert laxer with top of the line equipment from STX: bounce back, two lacrosse sticks, lacrosse bag, and portable crease. One week of summer camp to any camp offered at The St. Paul’s Schools. Fantastic options include arts, adventure, enrichment, sports and more! Valid beginning June 10, 2019 through August 23, 2019. A hands-on science experience in a university lab environment where your child and friends make liquid nitrogen ice cream. For up to 30 people. Donated by the Jess and Mildred Fisher College of Science and Mathematics at Towson University. Dress your daughter or son in style with a gift card from Wee Chic, Baltimore’s favorite destination for modern clothing and unique gifts for newborns to tweens. Add to your daughter’s American Girl Doll collection with Tenney complete with clothing, book, accessories and mini-doll. Donated by Molly Chacko, P’25. Gift your new driver with a 36-hour Drivers Ed course, conveniently offered right here at SPSG! Enjoy a basket of goodies that every new driver needs. Donated by Greg’s Driving School. Bring your group of four to this one-and-a-half-hour session with SPSG theatre teacher Katie Keddell where you will learn the art of Stage Combat. Stage Combat is a specialized technique in theatre designed to create the illusion of physical combat without causing harm to the performers. Learn to use a sword, fall, and fake hit for the stage. Light refreshments are included. To be redeemed by March 2, 2020. Join Spanish teachers Señora Diver and Señorita Murray ’01 at California Pizza Kitchen in Hunt Valley. Enjoy good food, conversation and Spanish practice. Open to two students taking Spanish. Students must provide their own transportation to and from the restaurant. To be redeemed by March 2, 2020. Gifted vocal musician and instructor, John Hendricks, Dean of the Arts, will help your child improve their singing potential with four private voice lessons (45 minutes each). To be redeemed by March 2, 2020. It’s SPSG’s very own project runway. Design your own dress, and art teacher and dress designer Sarah Watson will bring your vision to life. $100 worth of materials is included in this package. To be redeemed by March 2, 2020. Join Middle School Humanities teacher and advisor Ann Mickle and three of your guests to see a movie and have lunch or dinner. Students must provide their own transportation. To be redeemed by March 2, 2020. Team up with three of your friends as you compete against teachers Ian Cohen, Allen Issenschmidt, Tom Linz, and Erin Moyer in an epic battle of laser tag. Relax with ice cream afterwards but remember, sprinkles are for winners. To be redeemed by March 2, 2020. You and four friends spend up to two hours in SPSG’s Makerspace creating products on 3D printers and laser cutters with STEAM Coordinator Sara Balisalisa. Snacks and drinks provided. To be redeemed by March 2, 2020. Bring two of your friends for lunch at Taco Fiesta with teacher Shawna Dillon Garliss ’91 followed by shopping at Harbor East. Transportation to and from SPSG is provided. To be redeemed by March 2, 2020. You and seven of your friends will partake in a mystery dinner hosted by 5th grade teachers/advisors Mrs. Gill, Mrs. Flower-Rogers, Mrs. Smith, and Mrs. Whittaker. An intriguing mystery will be presented and hopefully solved by the end of the evening. The location, date and time will be provided in a series of clues handed to the student who “wins” the auction package. Prior to the dinner party, each student in the party will be given the name and background of a secret character who she will impersonate. Students are encouraged to arrive to dinner in costume. Teachers will prepare and serve a formal dinner. To be redeemed by June 1, 2019. Your gator girl will love this basket filled with the latest SPSG gear: tote bag, cozy blanket, pillow, water bottle and a variety of the always-popular Smathers and Branson swag. Calling all sophomore families! It is never too early to start planning for junior ring ceremony. Watch your daughter accept her class ring with four front-row seats to the 2019 Junior Ring Ceremony and $100 voucher toward her sterling silver class ring (with option to upgrade to gold.) Celebrate the occasion with two tickets to ring dance, a blow-out from Bliss Salon, a corsage and boutonniere for your date. Donated by Balfour, Bliss Salon and Marlow, McCrystle and Jones Florist. One lucky student driver gets a reserved parking spot in SPSG’s upper lot for the 2019-2020 school year. Enjoy the day with the company of super dog, Ansley Evins, for the school day. Must be redeemed by May 31, 2019. Enjoy six front row seats as your senior walks down the aisle in her graduation white on June 7, 2019. Select five seats of your choice in The Ward Center Theater to celebrate your 8th grader’s Middle School graduation on June 6, 2019. For more information about sponsorships, please contact Haley Brown Mahonski ’99, Director of The Gator Fund, at hmahonski@spsfg.org. Check out photos from Swamp Soiree 2018!